We asked our nonprofit community to call out those incredible individuals who really go above and beyond for their organizations and their community, but we didn't expect to receive so many phenomenal nominations! We couldn't be more excited to introduce the nominees for the 2018 Nonprofiteer of the year. This year we've selected SEVEN amazing people who truly are pioneers in the nonprofit and social justice sector! Nicole Brownstein is a nonprofit veteran whose expertise in content creation and community building has bolstered the missions of environmental organizations in New York, Massachusetts, and Connecticut including the Natural Areas Conservancy. She's also the Chair of the Board of Directors for The Other Side, and co-leads an all-volunteer political action group in the Upper West Side. Elizabeth Buechele is a young nonprofit professional in New York City who is passionate about people and human connections. She's the Founder of The Smile Project, a nonprofit organization based on happiness and random acts of kindness. She also volunteers with the Travis Manion Foundation as the NYC 9/11 Heroes Run Race Director. 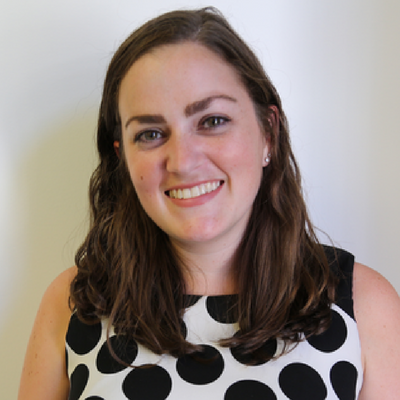 Lauren Horn, an Assistant Director of Programs at The Resolution Project, connects young social entrepreneurs with the people and resources they need to successfully reach their goals. She oversees two mentorship programs with a cumulative 240 volunteers, and is a mentor herself to two incredible young women, with one mentorship spanning the last 4 years. Bryan Klipsch is a young professional focused on global development and the social impact of the next generation. He currently serves as a Manager at Smile Train, and is head of the Governance Committee for UNICEF USA. Bryan is currently a Steering Committee Member of UNICEF’s Next Generation, and sits on the board of the American Classical Orchestra and S’Cool Sounds. He's also a member of the Advisory Board for tech startup LINK3D. Kyle Medeiros, the Associate Director of Standards for the American Camp Association of New York and New Jersey, works to ensure that summer camps are safe and positive environments to foster young people and help them discover what makes them truly unique and special. Kyle is also an active member in the New York City Gay Men's Chorus whose mission is to spread the message of equality and tolerance through song. Christian Peele, the Executive Minister of Institutional Advancement at The Riverside Church, serves as senior clergy and also oversees finance, human resources, development, and historic preservation. Her unique approach to her work focuses on the potential to cultivate both community and justice, and to increase the safety, access, and equity for the most vulnerable and strengthen Riverside as a place of community for all. Mariam Rajput, an award winning artist and Arabic calligraphist, is the Founder of Mariam Raj Artistry, an organization that helps support non-profits through financial and in-kind product donations. Over the years, her artwork has supported organizations focused on hunger relief, women’s empowerment, educational programs in developing countries, Autism outreach, refugee aid, and cancer research. Her most recent art donation generated over $3,000 to support free legal services for Americans facing discrimination, violence, Islamophobia, and hate crimes. After you cast your vote, don't forget to get your ticket to the unveiling event so you can learn who wins this year's Nonprofiteer of the Year in person! Join us at Raise New York on Monday, March 26 from 6:00 - 8:00 PM for an event to remember. open bar and hors d'oeuvres. Help us spread the word about this exciting event by RSVP'ing on Facebook here! Then share it with your network!